The Pride of West Virginia is hitting the road next week to march in the 2016 Macy's Thanksgiving Day Parade in New York City. As band members start to get excited for not only their big game this Saturday, but also the parade next week, one member of the WVU community is trying to figure out how he too can march with the band. No, it's not Michael from our College Marching Game Day team nor our graphic designer James, whom is an alum of the Pride, its the WVU President Gordon Gee! 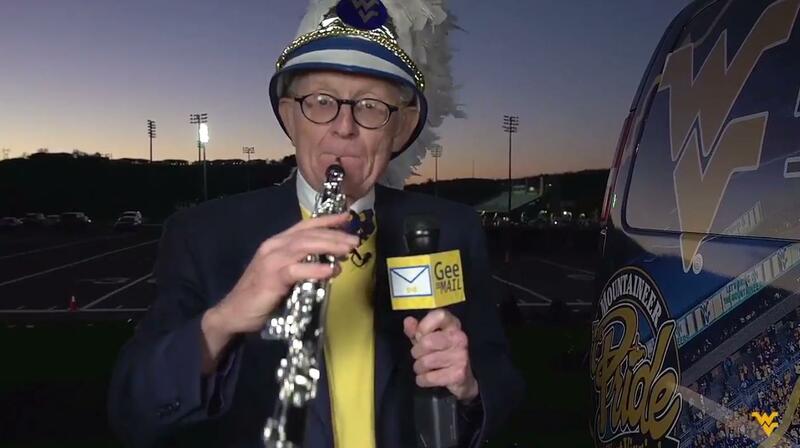 Watch as President Gee interviews the band and tries to figure out what instrument he could potentially march with. It is great to see support from a university President like this. We approve! President Gee, how about bass drum!?! Alright alright, cow bell it is. We know you will not only make the WVU community proud, but also the entire marching band community next week in NYC!